With over 500 esthetician schools rated and reviewed in one of the largest directories on the Web, you’ll have the information you need to choose the school that’s right for you. We’ve rated each school’s tuition cost, financial aid availability, graduation rate, job placement rate, and more! Just click or scroll down, select your state, and compare the schools in your area. We know how confusing and intimidating getting your esthetician license can be. Whether you’re trying to find the right forms, preparing for the State Licensing Exams, or just trying to locate the nearest exam center, we’ve got you covered. Just click or scroll down, select your state, and start reading our free guides. You’ll be acing the exams and showing off your license in no time! Did you know that the Bureau of Labor Statistics has projected a 12% employment growth for estheticians and skin care specialists from 2014 all the way through 2024? That’s faster than the average growth for all occupations in the United States! There’s never been a better time to become an esthetician than right now. But, how exactly do you become an esthetician? 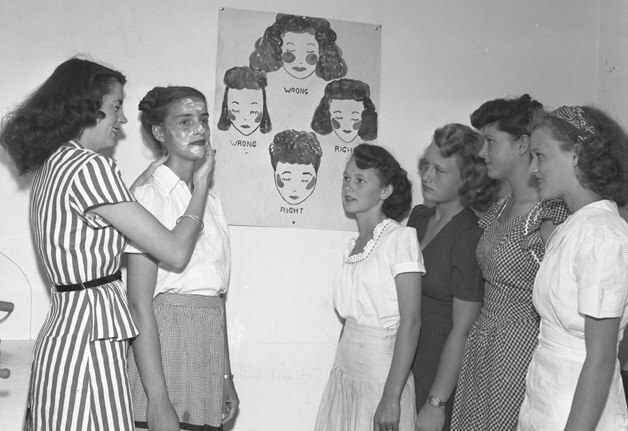 And, how do you choose the best esthetician school? I’m glad you asked. I’ll also show you what you can expect to learn at an esthetic school. While almost all schools teach you what you need to know to obtain licensure in your state, some schools go above and beyond the call of duty and train you in other aspects of the esthetics field, such as business building, self-marketing, client building, medical esthetics, and more. Before choosing a school, it is a good idea to decide whether you want to become a spa esthetician, or pursue the advanced training needed to become a medical esthetician. Only certain schools can provide you with this type of esthetics training. What Will I Learn in Esthetician School? The primary objective of an esthetician school is to educate and train you in the field of esthetics/skin care so you will be equipped with the knowledge and skills needed to pass the esthetics written (theory) exam and practical exam created by the National-Interstate Council of State Boards of Cosmetology (NIC). You must pass these two exams in order to obtain your esthetician license in the state where you will be practicing. Of course, the second objective of an esthetic school is to prepare you for a successful career as a professional esthetician. Ahh, yes. Beauty school. The good ol’ days. Now, here is where the esthetics curriculum may vary from school to school. How many hours of esthetics training you will need to acquire varies from school to school based on the number of hours of certification training required by the state that school resides in. For instance, the state of Florida only requires estheticians and skin care specialists to acquire 260 hours of esthetics training, while the state of Alabama requires students to acquire 1500 hours of esthetics training. The only state that does not require estheticians to acquire any formal training is the state of Connecticut. Some schools, like Aveda Institute and Empire Beauty Schools, go above and beyond the basics, incorporating career development, self-marketing, business building, and clientele building into their curriculum. This usually includes training in time management, cover letter and resume writing, interview techniques, debt management, and more. No matter which school you attend, you can expect to learn esthetics theory in the classroom and acquire hands-on training in the lab or in-school spa. What Factors Should I Consider When Choosing an Esthetics School? Let’s face it, trying to decide which esthetician school to attend can be just as stressful as school itself. You may already be looking at several different schools, gathering as much information as you can online so you can finally make an informed decision… only to wonder if you’re really making the right choice. Or, maybe you’re just now thinking about going to school and you haven’t really given it any more thought than that. Either way, we’ve got you covered. We’re going to list the most important factors to take into consideration when choosing a school. If I were to ask you which factor was the most important to consider when deciding on which school to attend, many of you would probably say “cost” or “program length”. Some of you might say “the amount of loan debt I’ll graduate with”. And, a few of you might even say “the job placement rate” or “the student graduation rate”. Lucky for you, we, here at Esthetician Schooling, have done the research and have collected this information from over 600 esthetician schools nationwide. You’ll find this information in our state-mapped Esthetician School Directory. Tour – Can you tour the school during class hours? Debt – Do most of the students graduate with school debt or do they graduate debt-free? Location – Can you commute or will you have to move? Is the school located in a safe area? Experience – Is there an in-school salon/spa where you can gain experience with real clients? Class Schedules – Can you attend the school part-time, nights/weekends if necessary? Instructors – How much industry experience do the instructors have? Do they stay up-to-date? Teaching Styles – Will the teachers work with slow learners and handicapped students? Class Size – Are the classes small? Do the teachers allow some time for one-on-one instruction? Facilities – Are the classes, restrooms, and break room clean and well-equipped? Equipment – Does the school have newer, up-to-date equipment to train on? Materials – Are the learning materials and multimedia presentations digital or state-of-the-art? Exam Prep – To what extent will the school go to help you prepare for and pass the NIC exams? Reputation – Is the school known for training well-qualified graduates who easily find jobs? Job Placement Assistance – Will the school help you find a job in your chosen career field? Always remember to ask any questions you may have about the school, the program, or the instructors. In fact, it’s a good idea to make a list of questions before you even visit the school so you won’t forget what to ask. If you schedule a tour during school hours, this will give you a good idea of what it will be like to attend the school as a student. Remember, it’s better to find out about the school’s strengths and weaknesses before you are forced to make a commitment, both academically and financially. One more thing. You may want to ask professionals working in the esthetics industry what they think are the best esthetician schools to attend. Most estheticians working in the industry today were once students themselves and they know the business better than anyone. Just be aware that you may get a biased opinion. Many estheticians will probably tell you that the best school to attend is the one they graduated from and that might not be true in your particular case. Just because that particular school was right for them doesn’t mean it will be right for you. It all depends on what you, yourself, are looking for in a beauty school. Probably one of the most important factors to consider when choosing a school is accreditation. The National Accrediting Commission of Career Arts & Sciences (NACCAS) is an independent accrediting commission that has been officially recognized by the U.S. Department of Education as a national agency for the institutional accreditation of post-secondary schools and departments of cosmetology arts and sciences. Schools whose esthetician programs are NACCAS accredited must adhere to a strict set of standards put forth by the agency. The NACCAS determines if the school meets NACCAS standards and is even inspected by a team of officials who visit the school and evaluate the school’s facilities, equipment, and curriculum. NACCAS accredited schools are re-evaluated every six months and, if the schools don’t meet the minimum NACCAS standards, they lose their accreditation until the necessary changes have been made. If a school’s esthetics curriculum isn’t accredited by the NACCAS, you’re taking a slight risk by going to that school, since they are not required to meet national standards of educational performance. Guess what? We’ve got you covered… again! Our Esthetician School Directory shows you which schools’ esthetician programs are accredited by the NACCAS, so you won’t have to spend countless hours searching the Web to find out. This information can act as a starting point in helping you see how the school you are considering attending stacks up against the averages of other schools in your state. Deciding on which esthetician school you should attend doesn’t have to be a stress-inducing experience, especially when you equip yourself with the information we’ve provided here at Esthetician Schooling. Do your research, ask lots of questions, compare the school ratings and reviews on this website, and stay focused and you’ll discover which school is the right school for you. Remember, knowledge is just knowledge, but applied knowledge is power. And, that power will help you get the best esthetician education and training you can afford.